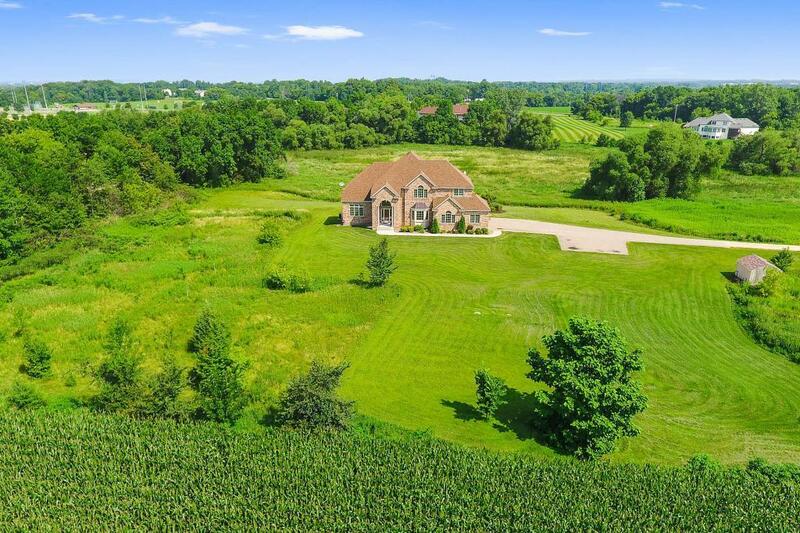 Custom built private retreat on 12 acres that is close to town, shopping & offers tons of privacy! This Cuddigan built home offers gorgeous private views and has plenty of room for additional buildings & toys! Home features: 4 bedrooms on one level, huge master suite, additional en-suite bath, 1 jack & jill bath. Details include: open floorplan, 9 ft ceilings, custom maple cabinetry, built-ins, hardwood floors,zoned hvac,granite countertops, ss appliances, 50x30 barn for storage & so much more!